Welcome to Episode 5 of The State of You Podcast – I am Bindi – thank you for joining me. In Episode 5 we take a look at the importance of self-care and how it can reduce stress, improve mental fitness and enhance energy. Self-care has become a wellness buzzword in recent years that tends to be misinterpreted and for many is seen as self-indulgent tripe – well in this episode I am going to share with you all you need to know about self-care and provide you with some simple tips on how you can include a little self-care into your routine each and every day. When we were growing up – most of us had parents who took care of us, making sure we were fed, clothed, clean, educated, safe and healthy. The funny thing is we are never taught how to be our own parent – which is essentially what we are when we grow up. We see so often, many people in the height of their career who are highly stressed, work is their number one priority, always switched on, highly driven, overworked, striving for more while their own needs come last – they often don’t sleep well, they don’t make time for family or friends, they don’t eat well or regularly and when they do it is usually something quick like takeaway or junk food to get them through. As a result – what happens? They get burnt out and every task they undertake begins to not be performed so well anymore! This is usually when we find self care becomes the most important to us – when we have neglected it for so long. We seek what it takes to make us feel better and restore ourselves to what we thought normal was. So what is self-care? Self-care is all about recognising our physical, emotional, mental, spiritual and social needs and putting activities in place to meet them. If we think of ourselves like a car – we still need to put petrol in the tank to run it and we need to keep it maintained to run well. Self-care is not about being selfish – it’s about looking after yourself in ways that only you can so that you can be your best self. It’s also not about adding another thing to your to-do list – it’s about prioritising your needs and addressing them. There’s also debate that self-care is also about the way we see ourselves on a daily basis – and that you’re just as beautiful in your bathrobe as you are in formal wear or that you take the time to love yourself – not just when you’re having a winning day, but every day. When we take a deeper look at self-care and our core needs – these can be broken down into 5 key areas – physical, emotional, mental, spiritual and social needs. Physical self-care encompasses nutrition, exercise, sleep, rest, health, sexual needs and physical touch. Emotional self-care takes into account managing your stress levels, increasing empathy, navigating your emotions and having compassion for yourself and others. Mental self-care is about mindfulness, learning new things and creating new neural pathways and practicing creativity. Spiritual self-care is focused on our values and beliefs and looks at focusing on noble goals and developing spiritual awareness – for example volunteering or finding others who have similar philosophies to you. Social self-care is pretty obvious – it’s about connecting with others – friends, family – developing relationships and having trusting caring people surrounding you to give you a sense of belonging. Take a relaxing bath – I usually add candles, some relaxing music, bubbles or some epsom salts to help relax your muscles. Do something you find relaxing every day – we take in so much information in our day – we need to give our mind a break – microbreaks of 40 seconds where you look out into nature can be very beneficial to productivity. It can also be as simple as listening to your favourite music, cooking, gardening or meditating. Eat nutritious meals – cooking is a very tactile and rewarding activity – be mindful of alcohol and caffeine intake and keep to a minimum. We often have alcohol to help us relax – but did you know too much alcohol can impact our serotonin levels and therefore increase our likelihood of anxiety and depression? Go for a walk on the beach or around the neighbourhood – better still take your dog with you if you have one – or two. Get regular exercise – find something you enjoy – try for at least 20 minutes a day – even a 10 minute walk can do wonders to reduce stress. Make sure you get enough sleep – I use a bedtime app that reminds me when I have to go to bed to get enough sleep – it also wakes me up in the morning. Create a gratitude journal or a jar where you write notes and come back to them at a later date. Saying no – particularly if your weakness is saying yes too often – it’s ok to say no. Be kind to yourself – having a compassionate attitude can help you through difficult times. Make sure you reward yourself for getting through something tough. This is also about being best friends with yourself – cut the negative talk in your head and go that extra step to impress yourself. Don’t be afraid to ask for help when you need it – whether it be from your friends, workmates, your family or even your doctor – also accept the help when it is offered and understand you can’t do it all on your own. Take some time out – grab a cup of tea, a book and just getaway from all the hustle and bustle of daily life – even just 15 minutes to take a deep breath, release some stress and ground yourself ready to continue on with your day. Plan something to look forward to – this is my favourite one of all as I really enjoy planning holidays – I used to be a travel agent after all – you could plan a night out, a party, a dinner or a home project. Having a goal we can look forward to keeps us focused on where we are heading. You will probably find you may already do a number of these activities – but only once in a while when you feel like you need them. The key to optimising your health and wellbeing is to fit activities like these into every day to avoid that burn out or empty fuel tank – which is when we then can’t ignore it any longer. The key is to making them a part of your routine, look forward to them each time and remember how good they make you feel. So maybe now is the time to reflect on how you currently take care of yourself. What methods do you currently have in place – or do you have any at all? What about when you are at work? It can be easy to forget about ourselves when we are at work with deadlines and demands robbing our attention. Make some non-negotiables for yourself like – I must step away and take a break for lunch to reboot – or I must finish at this particular time so it allows me to spend time on exercise or with my family. Set those non-negotiables in place and communicate how important they are to you. It’s what Richard Branson and Beyonce do – so if they can do it – why can’t you? You now have my 10 tips for better health and wellbeing through self-care – use them wisely! Remember self-care is not a one-time shot – it will change each day but you need to continually look after yourself – you are worth it and deserve it and by now you should expect it from yourself. It’s time to make these habits so they become an effortless part of your daily routine. You will reap the benefits and that fog will lift and you will actually feel alive. If you have some tips on self-care that you would love to share – head to my website at www.thestateofyoupodcast.com and send me an email or comment. I hope episode 5 has been enlightening for you and now equips you for your journey with self-care. Thank you for taking the time to listen to episode 5 – if you would like to share your story, please visit my website at www.thestateofyoupodcast.com and send me an email. If you would like further information, visit the links page on my site. 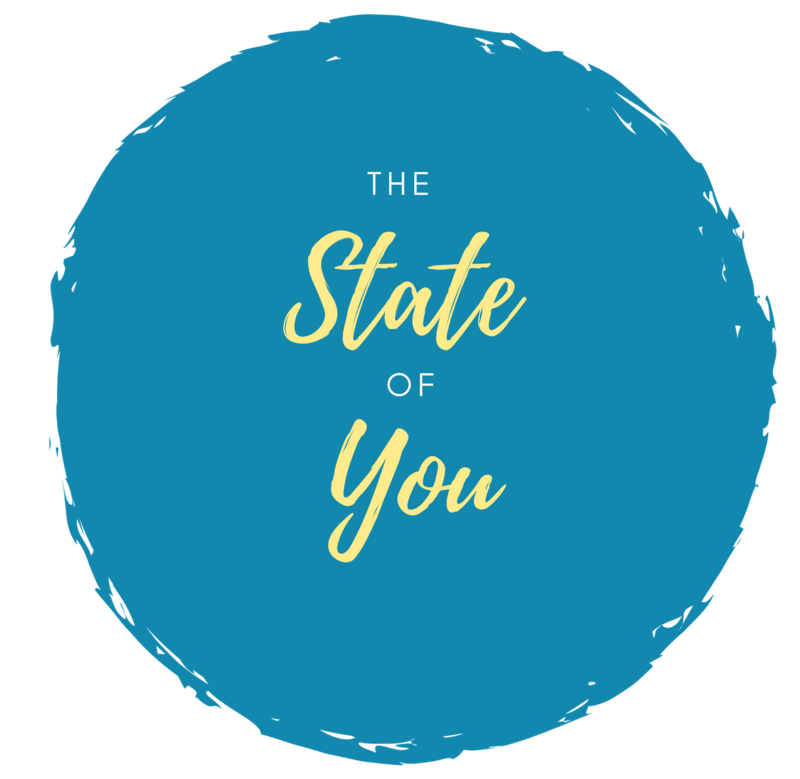 If you enjoyed episode 5 – please share your feedback – you can find me on Instagram @thestateofyou, Facebook @thestateofyoupodcast or subscribe to the podcast through my website.